No longer going forward with my build and selling everything off. Here are my DSS Pro Axles up for sale! I had the the driver side axle rethreaded by Indy Rack & Axle because I messed up the threads a bit when I was trying to install them the first time. 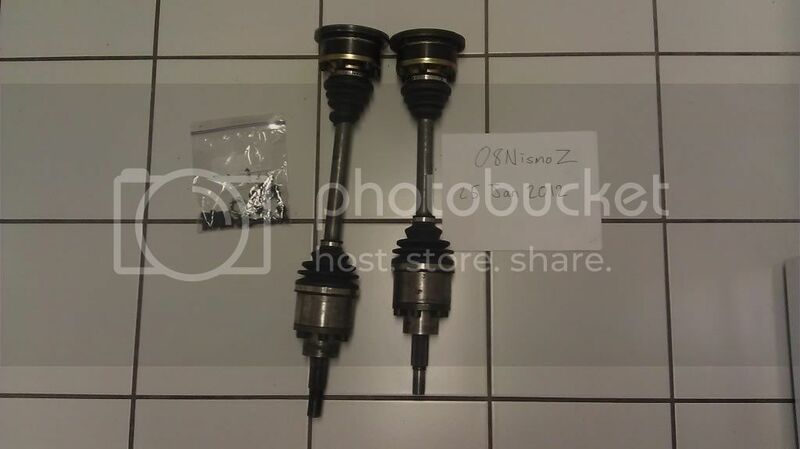 After getting the threads done I installed them properly and had them on my Z that was TT at 8psi putting out 450hp. The driver side axle has its own 32mm nut because the inner diameter is a little smaller than oem and the passenger side axle will use your oem axle nut. Last edited by 08NismoZ; 01-28-2012 at 06:29 PM. Still for sale, open to offers!